4.1 It’s not all about that crossbar! 4.3 Can a woman ride a man’s bicycle? RideIn.co.uk is an online resource set up for you to get the best out of your cycle to work and choose the right bicycle and equipment. Reviews, cycle to work guides and all the information you need to get commuting by bicycle. We focus on getting great value from your commuter bicycle. Every suburbanite has different requirements for their commute to work. Yours might be a racer or a hybrid based primarily on what kind of terrain you are on focusing on making your commute the easiest and most comfortable it can be. Smooth city roads are not always easy to come buy!Use our cycling to work guides to understand how the scheme works, find out how much money you can save and see how you can improve your health too! So, you want a cycle to work? But which type will work best for you? 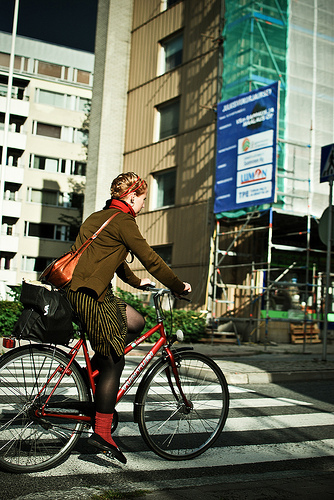 In this section we outline the best options available for daily commuting. Out and out the quickest on the road, sacrificing some comfort they’ll get you to work on time. The quality of the road surface is something you are going to need to pay a lot of attention to when deciding to use a racer to take you to and from work. If the roads are bad it may change your commute from slightly uncomfortable to intolerable or even dangerous! Racers are designed for just that – going as fast as possible. They are lightweight with narrow wheels and tyres, drop handlebars and a tucked riding position which all combine for the least resistance against the tarmac and the air possible. If you want to get fancy you can even upgrade to carbon frames and wheels. As well as sacrificing some comfort for speed, racers are also more fragile, so riders need to take when mounting curbs, bouncing through potholes or off the tarmac. Also, with speed in mind, not all racers have the capacity to attach racks and panniers. Exploding in popularity over the past few years, fixed wheel and single speed bicycles have taken over the streets in all their retro, classic and multi-coloured glory. But as well as looking cool, they are fantastic for commuting. They are lighter, require less maintenance and are cheaper than their geared cousins. Of course, they have only one gear, which is adjusted to be the best for cycling along relatively flat ground – so it can be hard work, out of the saddle, getting up hills, and you will soon find you are at top speed on the down hills. Nevertheless, you’ll be surprised that overall, over the entire journey, you will be nearly as fast. Plus, keeping that steady pedalling rhythm is great for your overall fitness. 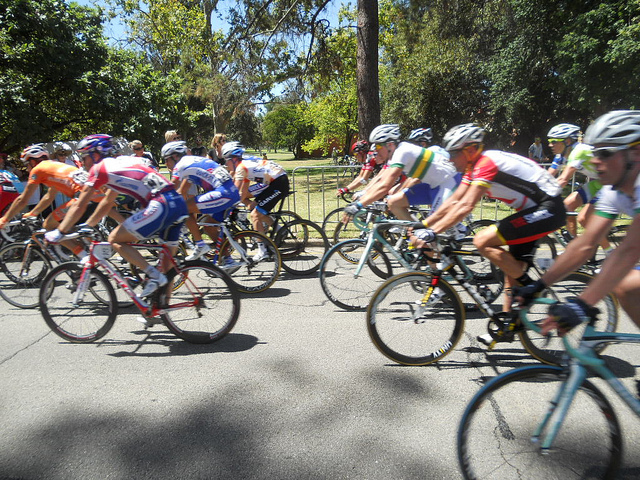 When you get back on a gears, you’ll be pedalling harder and faster. The fundamental difference is that a fixed wheel bicycle has no freewheel. Normally when you stop pedalling, you ‘freewheel’ – i.e. the back wheel continues rotating while you rest your feet on the pedals. However, on a fixed wheel, the pedals directly drive the wheel, so if the wheels are turning, so are the pedals. This means that on a steep descent the rider either has to turn the pedals very quickly or slow down. As well as using the brakes, it is possible to resist the force in the pedals and slow down in this way. It’s also possible to ride backwards! More and more popular each year, the hybrid brings the flat handlebars and upright riding position together with the slick tyres and thin wheels of a racer. Often people are upgrading their riding experience by adding carbon wheels to make their commuting that little bit smoother. The result still isn’t as fast as a racer but far quicker than a mountain. With the flat bars and more upright position, it’s also more comfortable. Check out our hybrid bike reviews page for the latest hybrid details. Nevertheless, with it’s less sturdy wheels they can be prone to damage if you are going up curbs and slicing through potholes. Great for cruising over short distances, to the shops or to work, with a very upright riding position, these are built for comfort rather than speed. These old fashioned models are built with comfort in mind with a bolt upright riding position, and often, a sprung saddle. What my mother calls a ‘”sit up and beg”. They are often designed with an attractive vintage feel and will look good with a basket. Other variations on the theme include traditional Dutch and American style cruisers. 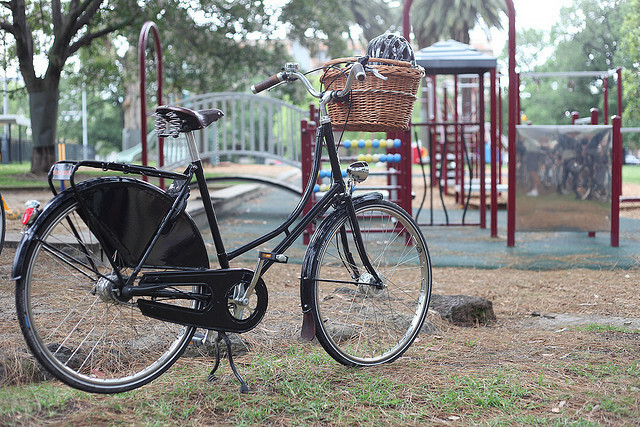 As well as looking great and being a very comfortable, relaxed ride, this type of bicycle is usually very low maintenance. Many aren’t equipped with gears at all, and those that are usually use hub gears. With hub gears the entire mechanism is inside the hub and is very unlikely to go wrong (although if it does you will almost certainly have to visit a shop). They also use simple caliper braking systems which are simple to adjust. So what are the drawbacks? Well, the comfortable upright posture provided by these, coupled with their solid, old fashioned construction means that they are slow and heavy to ride. They are fine for short journeys on relatively flat ground but for any longer journeys with some incline you will get tired very quickly. Folding bicycles are the best machines if you want to combine cycling with a train journey or have no space to store it. It’s simple really – folding or collapsible are easy to store and quick to fold up, in case you want to take them anywhere you couldn’t normally bring a bicycle. They are loved by commuters who combine a cycle ride with public transport. Likewise, if you have nowhere to store it, these fit easily in a cupboard. What’s more, in areas where theft is an issue, you needn’t leave it outside unattended at all. So, why don’t we all have folders? Well, you pay a price for convenience and, in this case, tend to be slower and more uncomfortable than standard. As the wheels are smaller you’ll need to pedal harder and this also means you’ll feel the bumps in the road more. They are also a bit more fragile than normal, so you shouldn’t be jumping them off curbs although, as this video proves, you can! Getting the best size for riding on the road, and the best size for riding off-road are quite different. The main difference is that for more extreme off-road riding, you may have to dismount quickly – and you’ll want a decent distance between yourself and the crossbar when this happens. The size is based essentially on the length of the seat tube, the tube that runs from the crank axle to the the top of the seat tube, where the seat post is inserted. But it’s not just the length of the seat tube which increases as size increases – the rest changes in proportion. Check them out first if you are buying online or aren’t able to check the bike size out in person before you buy. Racing frames are usually measured in centimetres ranging between 45cm for someone 4’10” tall to 65cm for a riders of 6’4” and taller. Meanwhile, many hybrid and town are measured in inches or given a size (S, M, L, XL) which equate to a certain frame size depending on the manufacturer. In order to measure the standover height you need to check the clearance between the cross bar and your crotch. In order to avoid any unfortunate collisions, it’s essential that there is a decent amount of clearance. One or two inches is sufficient for a road bike standover height for a cyclist riding a racer or hybrid. If the bike has a sloping top tube the distance will be greater. More clearance will make the bike more maneuverable but will also mean that you riding in a more tucked, aerodynamic position – as the saddle will need to be higher. Less clearance means a more comfortable, upright riding position, but the bicycle will be slightly more sluggish. Ride in is focused on cycling to work in 2016 and beyond. Use our guide to see how the cycle to work schemes operate and the best bike to work scheme for you. Ride to work and save money by taking advantage of the HMRC tax relief through the government cycle scheme . Find out how the scheme works and how much you can save by buying through shops opted into the scheme. If you are on a tight budget then getting on board with the cycle scheme could really help you. With the tough economic climate there has never been a better time to get on your bicycle as an affordable and healthy way of commuting to and from work. We give you cycle to work tips so you can work out the right routes and get other advice on what to consider on your cycle commute. We are obviously big cycle to work advocates and encourage people to get on their bikes and if you are already cycling to work ways of improving your cycle commute. It can have life changing effects on your health by losing weight and saving money at the same time. However we also are well aware of the dangers for the person who commutes to work. Read through our safety advice and how to handle yourself on the road. In Victorian times when cycling really took off among both men and women, the only difference between their bikes was the presence or absence of a crossbar. It was considered undignified for a woman to climb on to a bicycle, thus lifting her skirts. So, ladies bikes were constructed without the crossbar. However, quite a few things have changed since then, especially the assumption that women will always be wearing a skirt. It’s not all about that crossbar! These days, although most standard bicycles are still designed with men in mind, many manufacturers produce women-specific models which have been developed to suit the specificities in female anatomy, rather than their style of dress. 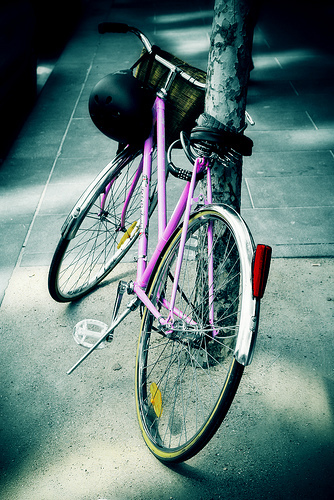 In fact, many modern ladies bikes actually have a crossbar. The simple fact of the matter is that the triangular shape of a gent’s cycle frame is exceptionally strong and can withstand plenty of punishment. For example, you will categorically never see a downhill mountain bike without a crossbar for that very reason. However, many modern ladies bikes still don’t feature a crossbar, and as long as you are not hurtling down mountainsides or performing audacious jumps, they will be plenty strong enough and ideal for cycling. Plus, if you do choose to wear a skirt, it’s easy to jump on and off. Many of these alterations are made in order to keep it in proportion, even in smaller frame sizes. Hence the smaller wheel size, for instance. The differences may be quite subtle, so it’s worth trying a few out to see what is best for you. Can a woman ride a man’s bicycle? Of course, the vast majority of models out there, especially in the second-hand market, are men’s. Choosing a bike should be about personal comfort, so pick your bike on how it feels to ride, not whether it’s a men’s or a women’s model. The differences between men’s and women’s bicycles are subtle, so if you try a men’s bicycle and it feels good then go for it! 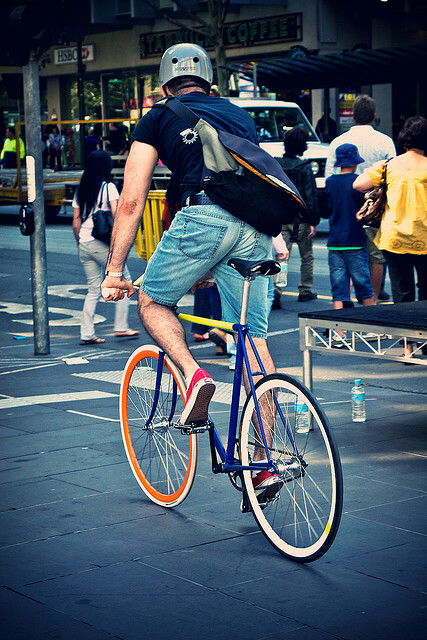 Getting the right gear for your cycle to work is essential to enjoying a safe and comfortable ride to work. We review all the gear from cycle jackets to keep the rain off to bike lights to ensure you are safe and seen on the roads. Getting the best cycle lights is essential in staying safe especially on unlit roads which are commonplace around the UK. If you are on a budget it is unwise to think of these as an unnecessary cost, they could save your life when you are out on the road! Cut the cost of your cycle lights by considering self power generating lights that use a dynamo. Quit worrying about ‘helmet hair’ dont take any advice from sites like this and understand the safety benefits of wearing a bicycle helmet on your everyday commute. We look at all the cycling latest brands and retailers such as Halfords Wiggle etc to help you understand what the essentials are for your commute. We also understand that not everyone has the same budget so we look at value for money and affordability against the quality of cycling equipment. Weighing up the pros and cons to get the rider the best for his or her money. Use our reviews and guides to work out the best kit for you. Commuting to work by bicycle is on the increase – and it’s not difficult to see why. Petrol prices are soaring, congestion charges are spreading, public transport is (arguably) becoming less cost effective, and people are taking greater care over their health, well-being and lifestyle. Add to this the ever-increasing importance of the environment (and the many eco-related benefits that cycling has over driving), and the reasons to switch to being a riding commuter become more compelling by the week. In response to this, manufacturers now produce a massive range designed specifically for commuters. A variant on the hybrid, commuting bicycles take the best of both mountain and road bikes and incorporate features such as mudguards, carrier racks and baskets to create the perfect version for the journey to and from work. Household names such as Giant, Trek and Dawes have immersed themselves in this growing market, and the result is an impressive selection of great quality bikes – with something for everyone’s needs. This web site looks at the features of commuting bicycles, the multiple benefits of cycling to work, and answers a number of typically asked questions on the subject. It also points out some of the best buys on the market, leaving you with no excuse but to invest in a commuter bike of your own – and start to enjoy those benefits for yourself! Commuting bicycles have a number of different features, all of which can enhance their performance and usability. Some of the main things to look out for on commuters are the frame type, brake system, gears, tyres, carrier racks and mudguards. We will look at some of these features in more detail below. 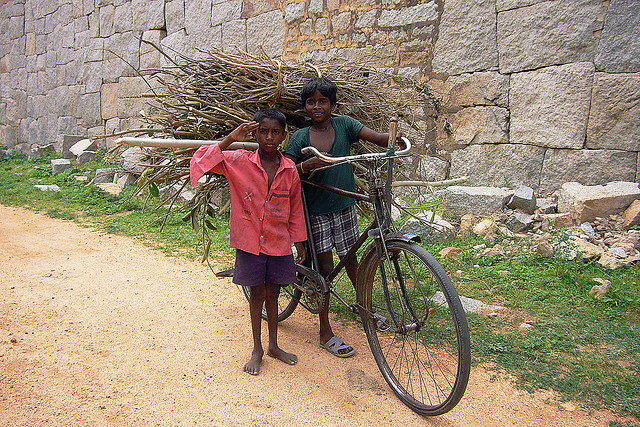 The frame is the central component of your bicycle – it holds everything together. When choosing, you will want to ensure that it has a frame that is strong and light – making it fast and safe to ride, and easy to pick up if you need to lift it over a stile or other obstruction. Many modern frames are made from aluminium, or even carbon for the more expensive models – both of these materials are ideal in terms of weight or strength. Some bicycle frames will also incorporate suspension systems, which will make your ride more comfortable on uneven terrain. The gear system on your commuter bike is another important component, so it’s worth reading up a little so you know what you’re looking for. Generally speaking there are two main types of gear – internal and external. External gear systems (also called derailleur gears) are the most common type; they were developed in the late 1800’s and are a familiar site on bikes in the UK. These gears operate by a simple mechanism pushing the chain to either side, thus derailing it to the adjoining cog. Internal, or hub gears are much more advanced; they operate using a planetary gearing mechanism. Internal gears are generally considered to be more reliable, clean and safe, and they are virtually weather proof, making them low maintenance. The brakes are another mechanism that is worth checking out before you buy your commuter bicycle. Generally speaking, these days, bicycle braking systems are safe, effective and reliable. Rim brakes (often in the form of V-brakes) are considered to be a fairly standard braking system – they are fine for everyday use. Disc brakes are the most common alternative to V-brakes; they are more reliable in wet weather, require less maintenance, tend to be quieter when used, and are generally more efficient. 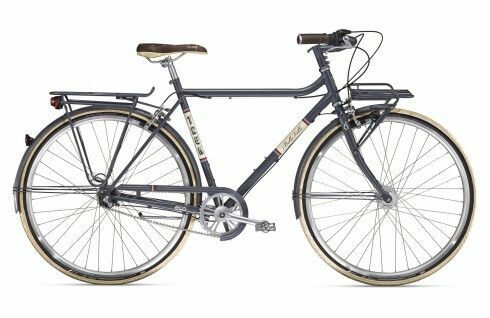 A few other things to look out for on your commuting bicycles are the tyres, mud guards and whether or not they come with a carrier rack. Bicycle tyres vary in quality, but the main thing to look out for is whether they are slick in design (ideal for road usage), or have a thicker tread (good for off road riding). Mud guards can provide obvious benefits – if you are willing to brave the rain on your bike, or tend to find yourself riding down muddy back roads- then mud guards are a must. Finally, if you will need to carry things on your ride to work, then a carrier rack will certainly come in handy. As with all things, you need to strike a balance between the cost and your requirements when choosing your commuter bicycle. There are a number of manufacturers that build commuting bicycles, and as their popularity increases, more and more varieties of commuters come onto the market. 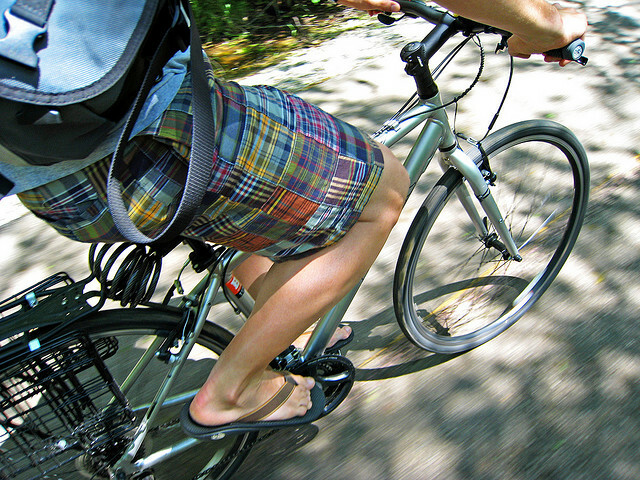 Some of the most popular manufacturers of hybrid bikes are Giant, Land Rover, Dawes and Trek. Although Land Rover is better known for its cars, their bikes are proving to be more and more popular. The reason for this success may be that Land Rover is simply known for their high quality machines, regardless of whether it is a bike or a car. The hybrids that are produced by Land Rover are surprisingly affordable – they tend to cater for the £200- £600 market. When buying one of these bicycles, it’s reassuring to know that you are investing in a well respected and reliable British product. Generally speaking, Trek bicycles tend to be good quality middle of the range bikes. If you are looking to spend somewhere between £400 and £700, then a Trek bicycle is a safe bet. At this kind of price, most bike enthusiasts can get everything they need. Finally, Giant and Dawes are two of the bigger manufacturers. Both of these companies offer a wide range of different commuting bicycles, as well as a huge variety of other bikes of all shapes and sizes. Both companies cater for all comers; their models start at £250 and go up to as much as £2,000, if you have that kind of budget. Giant are a global company that manufacture in Taiwan, whereas Dawes are a well known British company who are experts in manufacture. The choice is yours. There is lots in the news today about cyclists admitting they feel forced to jump red lights, due to a combination of bad road design and dangerous drivers. Let’s just hope the Times’ current Safe Cycling Campaign keep moving forward, as this is just the sort of news that will scare potential commuters from ditching the car in favour of a bicycle!